Last week, Google announced they’ve expanded Google Now to be built into Android M with the upcoming release to make your phone a little smarter. Google Now makes it easier for mobile users to find information without having to close an app to run Google Search. Currently known as Now On Tap, the revamped Google Now feature allows users to simply tap to view more relevant and contextual information based on what‘s currently being viewed (why it took so long for this, I have no idea). Although the new feature is geared towards the user experience, it also provides marketers and brands with another means to rank app content higher because it works through App Indexing. The two will work with one another to rank app content on Google mobile search to drive Google Now to app content. Although the basic idea of Google Now has been done using third parties, Google has taken out the middle man with the new feature. Google Now will work with Android M, which is still under preview, but will work to make your phone even smarter. Android M uses a new assisted API, which feeds designated app information about what people are looking at on the screen. Then, it corresponds with the Google Search app to display relevant information. Now, you don’t have to leave your email or an app to run a Google Search to find information about a topic, such as a restaurant review or movie theater locations. Instead, you tap “Google Now” while still in an app to view ratings and additional information about that specific topic. But, it doesn’t end there. You can purchase tickets and take action straight from the new feature. Just tap and hold the home button, no matter what you’re doing, to find information without having to leave a website or app. While Google Now is limited to scanning emails and locations, the new Android M will scan the entire OS system. 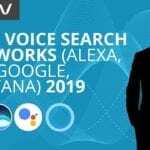 This means everything from social media posts to text messages are included in the new search capabilities with plans to make voice commands respond as well. App Search Optimization (ASO) is now more critical because Google is taking it into consideration for Google Now to discover apps outside of the app store. The context-based search will improve the user experience for using relevant apps, so app indexing and deep linking need to be used to appear in Now on Tap results. With Forrester reporting only 63 percent of apps discovered in the app store, the new search feature will make app discovery even higher. Often, apps are ranked depending on the number of downloads, ratings or reviews, but ASO will help promote ranking, which involves two main factors: title and keywords. After choosing the right category to influence ranking and searchability, include a keyword in the app title to improve your app ranking by as much as 10 percent. Then, include relevant keywords that are most often used in the app description, but don’t stuff the content. User ability and responsiveness also play a role in app indexing, so resolve any errors that may hurt the app’s performance. With the right look, features, and aesthetics, you’ll have a well functioning and ranking app to increases search visibility and downloads. Once you’ve optimized your app, pay attention to user behavior with measuring and analyzing to help you understand your installs and user demographics to fix issues that may be hurting your downloads. Google recommends App Indexing to help users engage your app and installs resulting directly from Google Search. But, with Now on Tap, this offers more opportunities for apps to be discovered and downloaded. To allow Google to crawl your app content, users to find your app in search results, and visibility on Google Now, intent filters must be added, known by some as deep app linking. This allows you to link content to activities, such as product offerings. For app developers and brands, the ability to search with deep linking could mean better results for app indexing and ranking. Specify an action view for it to be reached in Google Search. Add data tags to represent a URI format. After the deep links are added, enable App Indexing on your mobile app. Then, prepare the website’s content to correspond with the app and verify the set up. Monitor how well your links are performing in Google Search by extracting the information Google has attached to the links. Be sure to check for any errors using the Search Console. With the average Smartphone user downloading approximately 25 apps, Google Now offers the potential to dramatically increase that number with the new ease of searching. If your apps aren’t performing their best or set up for indexing, now is the time to optimize your app and get everything in order because Google Now with Android M is expected to be released by the end of the year. Don’t wait until the last minute. Start building your app ranking now.